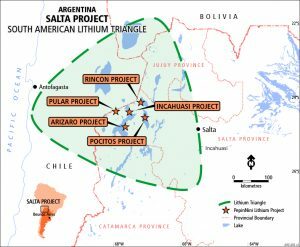 An initial lithium (“Li”) and potassium (“K”) resource statement was announced 27 June 18 for the Rincon Lithium Brine project in the Salta province of Argentina. The JORC 2012 resource statement, detailed in Table 1 below, includes 60,000 tonnes of lithium carbonate (“Li2CO3”) equivalent (LCE) and 270,000 tonnes of potash (“KCl”) equivalent in the Measured and Indicated Resource categories, with an additional 6,000 tonnes of Li2CO3 and 26,000 tonnes KCl in the Inferred Resource category. The reader is cautioned that mineral resources are not mineral reserves and do not have demonstrated economic viability. The resource estimate was prepared in accordance with The JORC Code 2012 and uses best practice methods specific to brine resources, including a reliance on core drilling and sampling methods that yield depth-specific chemistry and effective (drainable) porosity measurements. The resource estimation was completed by independent competent person Mr. Michael Rosko, M.Sc., C.P.G. of the international hydrogeology firm E.L. Montgomery & Associates (M&A). The resource is defined over a 2.54 square kilometer footprint using results from core drilling and depth-specific packer sampling. The initial measured, indicated, and inferred resource was derived from polygons surrounding exploration boreholes, totaling 210 metres of core drilling. Total area of the polygonal blocks used in the resource calculations is 254hectares or 2.54 square kilometers (km2), as shown on Figure 1. The exploration diamond drilling program was designed by Exploration Manager Marcela Casini to develop a resource estimate for the project. Drilling and construction were conducted during December 2017. Locations for the Rincon exploration wells are shown on Figure 1. The diamond drilling program included drilling two vertical coreholes using a diamond core rig to total depths of 80 and 130 meters. Drilling and construction services were provided by Hidrotec SRL, and were documented by PepinNini in internal company drilling reports of 2017 and 2018. Brine chemistry samples were analyzed by SGS Argentina S.A., Salta, Argentina; SGS has extensive experience with lithium-bearing brines. 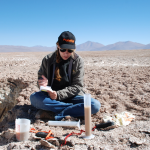 Porosity analyses on selected core samples were conducted by Geosystems Analysis Inc. (GSA), Tucson, Arizona; GSA has worked on many Argentine brine projects during the last several years. 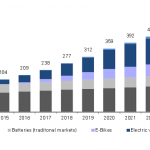 The emergence of the Electric Vehicle and Energy Storage markets is being driven by a global desire to reduce carbon emissions and break away from traditional infrastructure networks. This shift in energy use is supported by the improving economics of lithium-ion batteries. 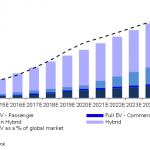 Global battery consumption is set to increase 5x over the next 10 years, placing pressure on the battery supply chain & lithium market. 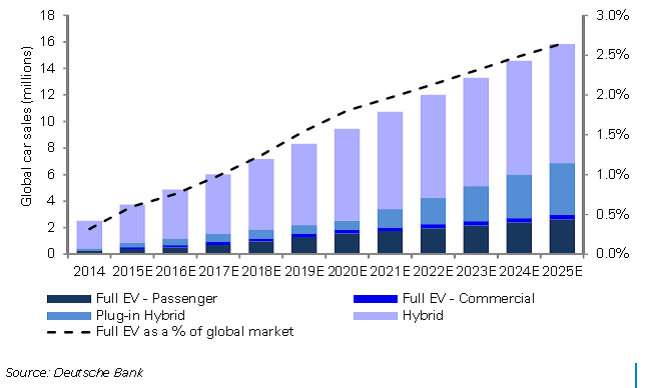 We expect global lithium demand will increase from 181kt Lithium Carbonate Equivalent (LCE) in 2015 to 535kt LCE by 2025. 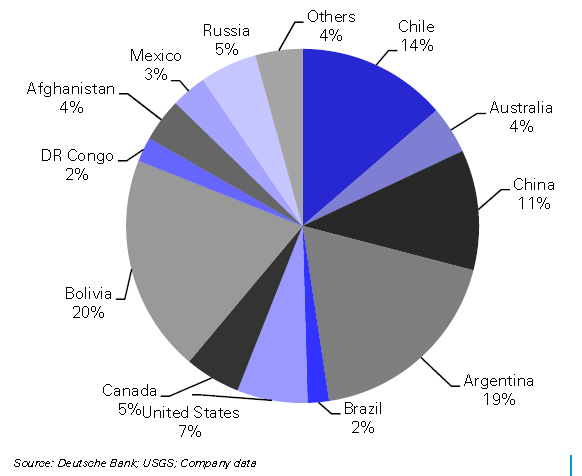 Argentina is in the Li triangle of Chile, Bolivia and Argentina contains one of the largest and best quality reserves of lithium-brine in the world. 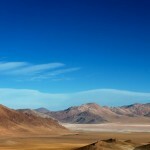 The Andes Mountains hold a large saline body with brine deposits generated by water filtered through the sub-soil. Brine of the Salars(Salt lakes) in the Puna region possesses high concentrations of potassium, lithium and boron. High-grade lithium ores and brines are the source for commercial lithium production. 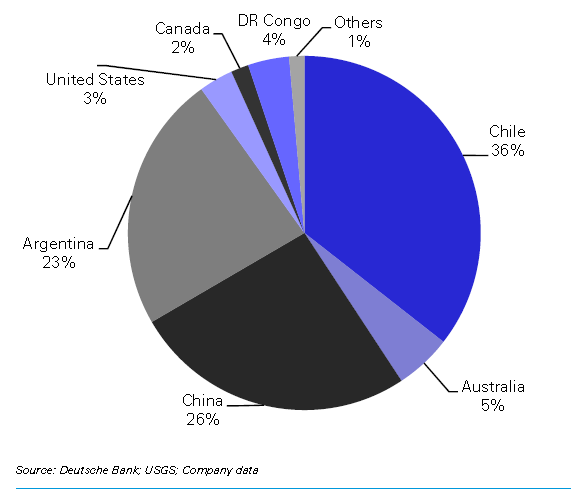 Ultimately operating costs for lithium carbonate production from lithium brines is lower than hard rock lithium production; refer http://www.visualcapitalist.com/a-cost-comparison-lithium-brine-vs-hard-rock-exploration/. 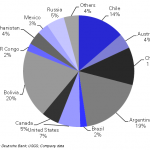 Argentina has 23% of the global reserves of Li and 19% of the high grade global reserves. 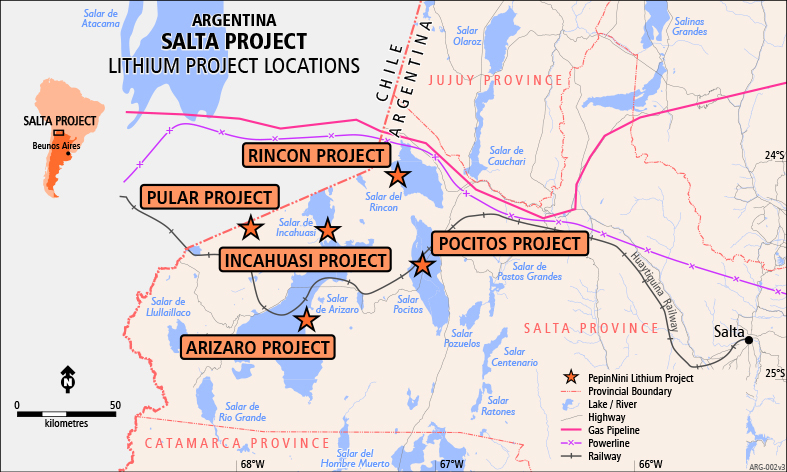 Recently (November 2015) the government of Argentina changed and this has had a major impact of foreign investment inflow, – so Argentina is open for Business – the effect of the previous administration had limited investment hence exploration and now Argentina has huge untapped resources and PepinNini has tapped into this. In June 2016 PepinNini wholly owned Argentine registered entity PepinNini SA applied for and in July was granted 8 mining leases in Salta Province of north west Argentina covering 15,890 hectares(ha) over 7 different salars(salt lakes) with the potential for Lithium Brine occurrences. 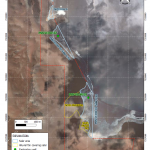 Preliminary sampling in Salar de Pular(Figure 4 for location) has confirmed the presence of Lithium brines and further exploration is underway in the other salars to test for the presence, depth and quality of Lithium brine bearing aquifers. 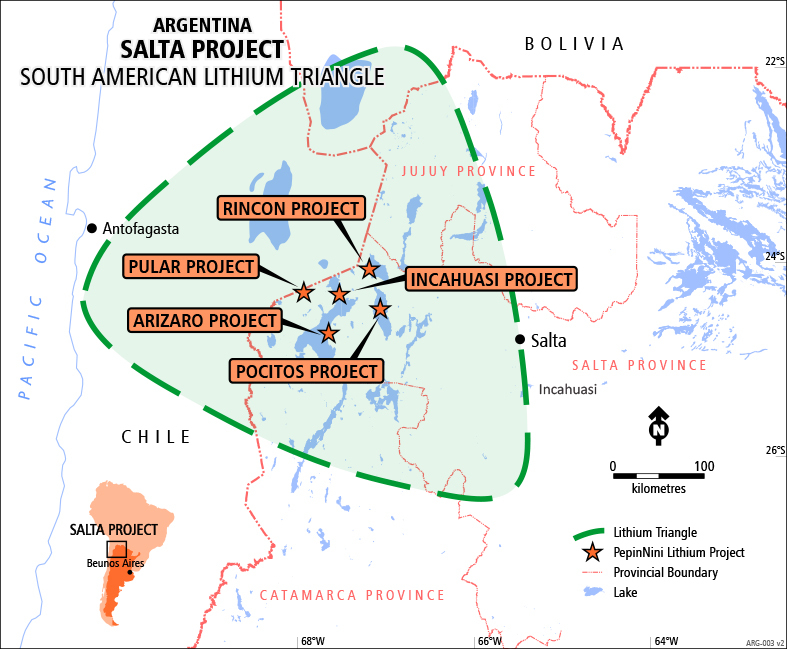 PepinNini SA has continued to accumulate ground in the province and now hold 11 mining leases with continuous tenure(100% PepinNini SA) of 23,796 hectares or 238km2 all within the South American Lithium Triangle. Five major project areas have been defined(Figure 4) and vertical electrical sounding(VES) geophysical surveys over the project areas will be undertaken late October. Once brine aquifer presence has been confirmed and depths defined, drilling and brine sampling will be undertaken, followed by trench sampling and pump testing. 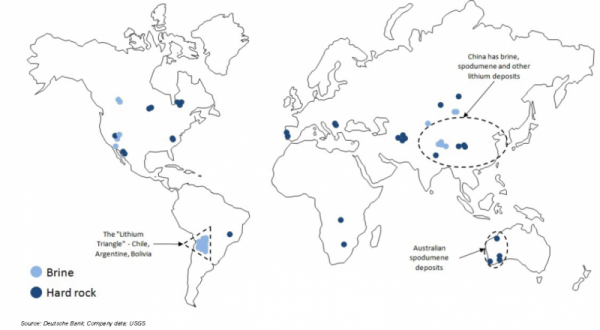 The area is well served with infrastructure(Figure 5) for development of a lithium brine production operation. 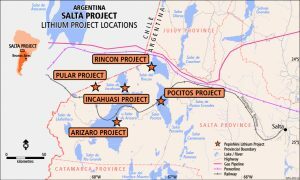 There are a number of other projects in the area with two main projects in production on Salar Olaroz(ASX:Orocobre) and Salar del Hombre Muerto(NYSE:FMC). 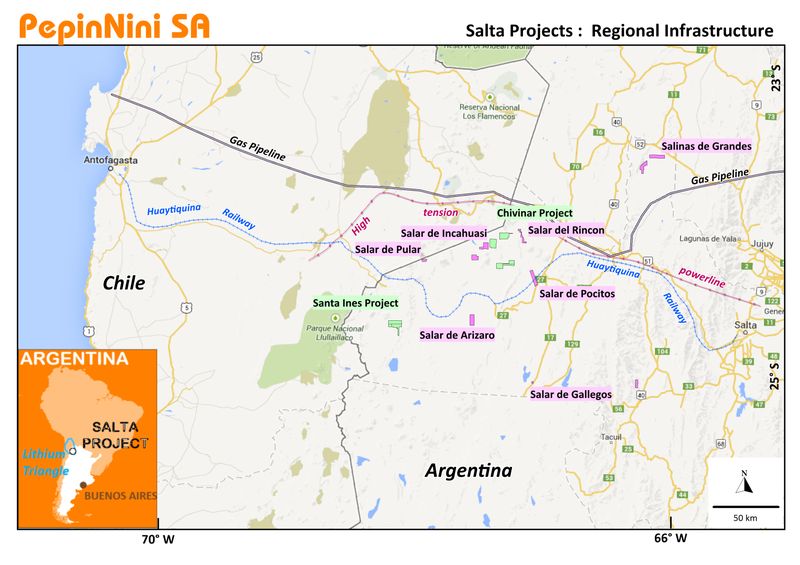 Figure 5 – Infrastructure Salta Province, Argentina. 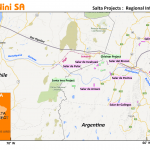 The minas held by PNN SA cover a variety of geological environments however all are in the vicinity either on or bordering Salars in Salta Province. Table 1 below is based on current projects in the vicinity(Puna region) of PepinNini’s tenure and from information available publicly(see Figure 4 for locations). 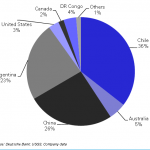 Table 1 – Resource Information Production Companies – Puna Region Argentina. 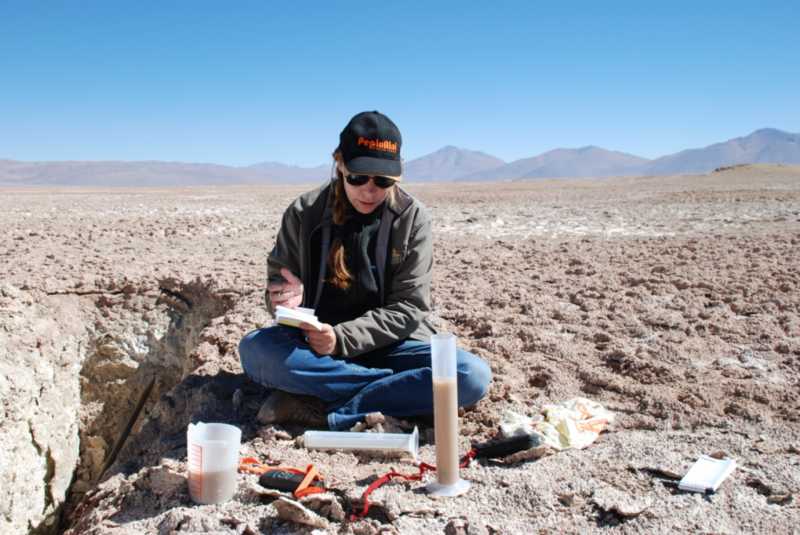 Significant assay results for grab samples collected from a historic mine working confirms potential for high grade copper and gold mineralization within the Argentinean Santa Ines Project Area. PepinNini plans to target this area with detailed surface mapping and ground geophysical surveys to identify priority drill targets. 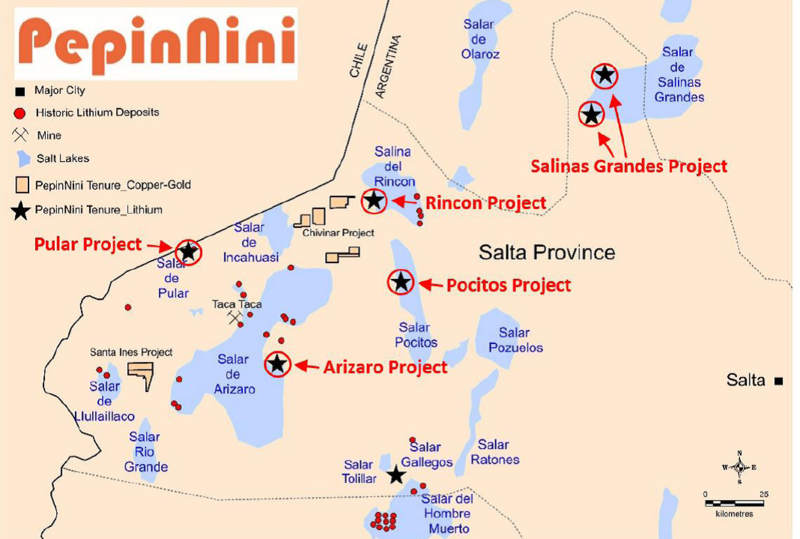 The Santa Ines Project comprises one mina (mining licence) and one cateo (exploration licence) covering approximately 82 km2. This project logistically benefits by being only 5kms from the Salta-Antofagasta railway and is easily accessed using existing roads and tracks. 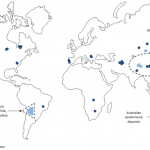 The Project lays within a crustal scale NW trending mega-lineament, which in Andean geology are widely recognised as being major long-lived structural corridors that are fundamental in the control of the distribution of porphyry-epithermal deposits. 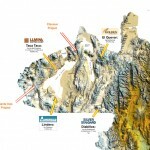 The “Archibarca” NW lineament extends from Cerro Galán (Argentina’s largest ignimbrite caldera complex) in the southeast through to the Pacific coast of Chile. Known mineralization along this lineament to the immediate southeast of Santa Ines includes Mansfield’s Lindero Gold Porphyry project (2.2 Moz. 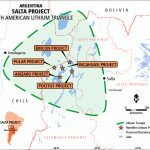 Au) that is currently in feasibility and advanced Cu-Au exploration projects including Rio Grande, Arizario and Samenta. Situated approximately 80km to the northwest along the same lineament is BHP’s giant Escondida Cu-Au porphyry (~5 billion tonnes at 1% Cu and 0.25 g/t Au) which also was deposited contemporaneously with the Santa Ines Formation event during the Late Eocene-Oligocene. 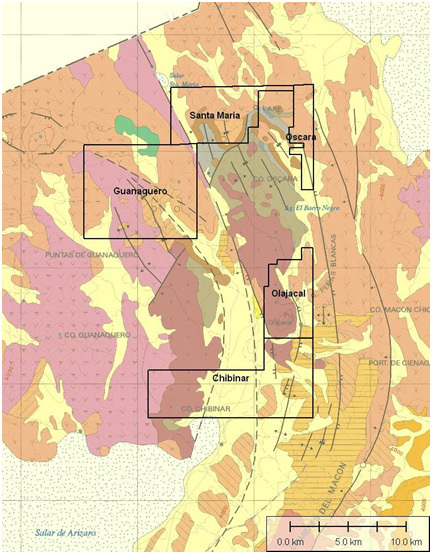 Santa Ines mina comprises a number of small artisanal diggings consisting of shallow pits and adits exploiting abundant secondary copper and specular haematite mineralisation associated with haematite-silica veining within a broader envelope of albitic alteration. Orientated to the NE this steeply dipping vein system and phyllic alteration extends across a low outcropping hill. More recent shallow pits indicate that mineralisation is evident for at least 400m across strike whereas along strike it becomes lost under thin cover at the base of a hill after a few hundred metres. 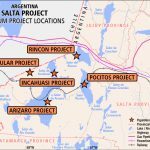 Published reports by SEGEMAR (Argentine Geological Survey) describe the mineralisation at Santa Ines as being gold bearing with mineralisation present dominantly as malachite, azurite, chrysocolla and specular haematite with minor primary mineralisation occurring as chalcopyrite and chalcocite. 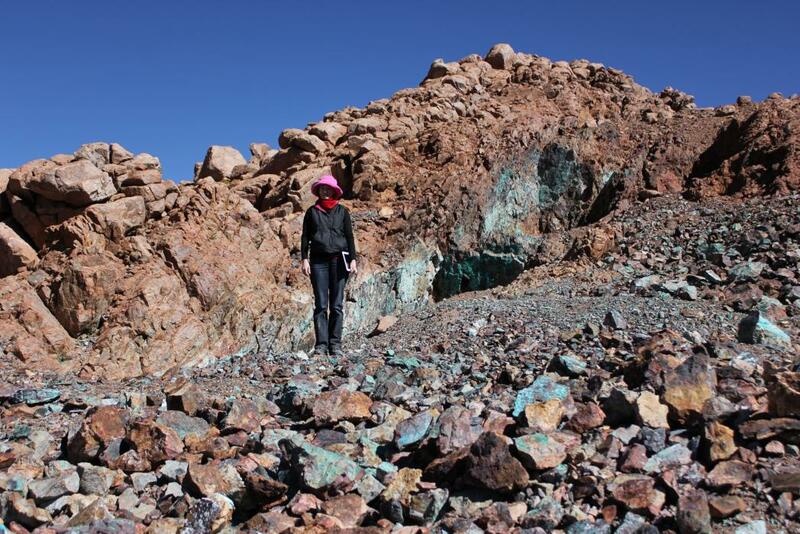 Samples collected recently by PepinNini Minerals confirm high grade copper and gold mineralization is present. There is no evidence of any modern exploration work having been undertaken at Santa Ines and no historical data is available. 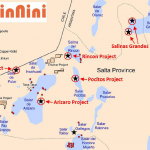 PepinNini intend to target a number of potential mineralization models including porphyry-epithermal style deposits and iron-oxide copper-gold targets at depth beneath the surface mineralization evident at Santa Ines. 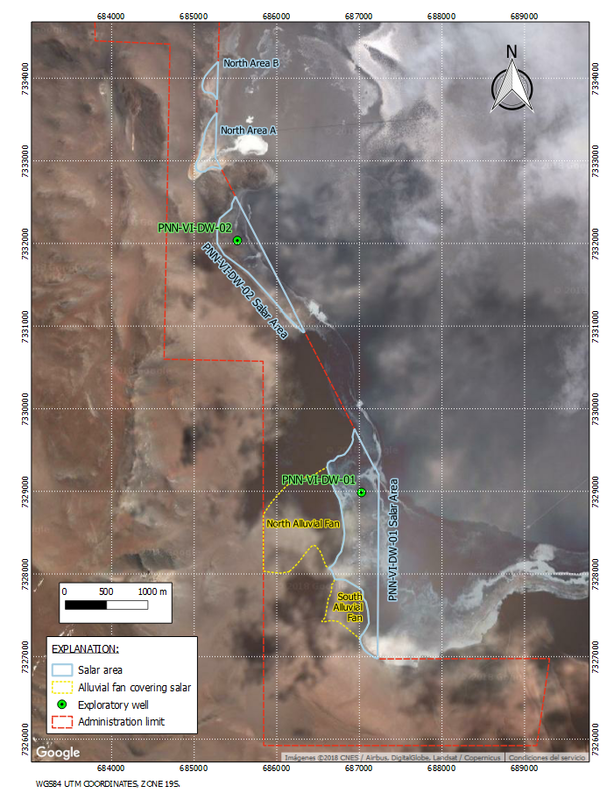 Proposed exploration will incorporate the use of geophysical techniques including both potential field and electrical methods to delineate targets for drill testing. 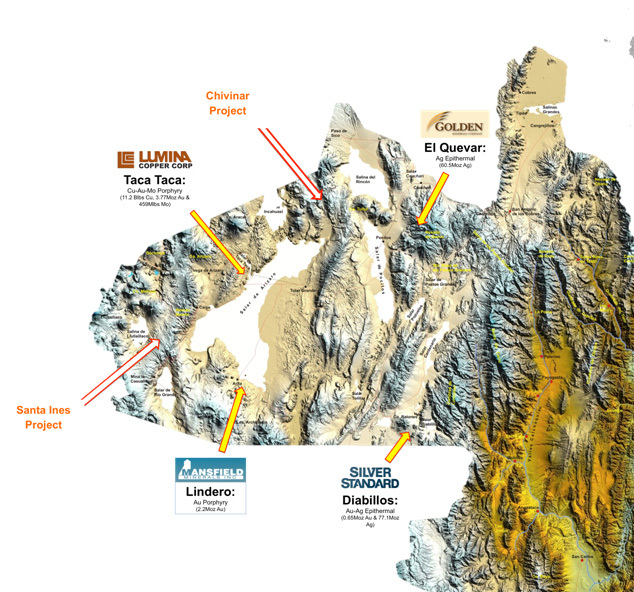 The Chivinar Project is situated in the Los Andes Department of Salta ~40km north of the remote Puna township of Tolar Grande. The geology of the general Chivinar area is centred on the Ordovician Chachas Eruptive Complex. Flanking this igneous inlier are Permo-Carbonifeous marine and continental sediments, which have subsequently been overlain in part by volcano-sedimentary packages that are related to a Miocene caldera complex to the immediate west of the project area. This area is coincident with a smaller but well-defined northwest lineament that extends from the El Quevar Silver Project in the southeast along a line of three closely spaced Pliocene volcanos and through the northern tenure block before passing across the border into Chile in the northwest where a number of small iron ore deposits have been exploited in the past. 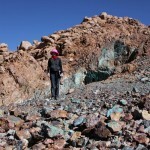 Within the Chachas Complex area itself are various known copper, base metal, manganese and iron-ore mineral occurrences. Significant zones of alteration are evident in the Aster imagery and visible along sides of the hills that flank the central valley that divides the Chachas Complex. 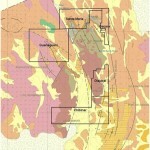 Whilst the central portion of the older Chachas Eruptive Complex is covered by existing minas and cateos that are held by Mansfield Resources and other private individuals, Pepinnini is targeting the flanks of this complex which it considers prospective for structurally controlled mineralisation related to the younger Tertiary overprint. There is no evidence of any systematic prior exploration in these areas and no existing data is available.